In my work in contemporary realism I try to capture the meaning of the Latin phrase, finitum capax infiniti, "the finite is capable of the infinite," which means that there is no access to the infinite except through the finite. It is an apt description of how I feel about our connection to the material world. In some respects, I have become a chronicler of empty spaces. I don't believe that a place ever loses its human presence. People live, die, or move on, but their spirit remains. We leave something of ourselves behind in the spaces we inhabit, either in the physical changes we make, or because of the dings and dents of time. Therefore, in a sense, there are no real empty spaces. 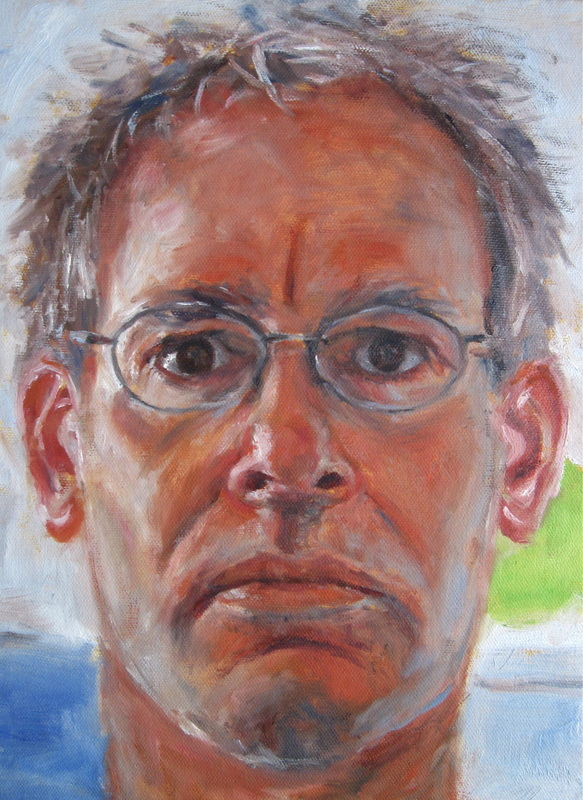 Presently, my quest is to try to capture this in two dimensional form, and the technique of glazing in oil paint seems to suit the subject matter and my temperament. This slow layering of color seems to correspond to the patina of living that inexorably descends upon a particular place. Glazing is a painting method that allows me time for careful thought and introspection. Compositionally, the way material things have been left behind is of key importance to me. The way a piece of furniture sits in a room, the way an empty shelf protrudes from a wall, these things bear testimony to the people who have moved on. The mute objects are not really silent. I have taken a circuitous route to art. I grew up around artistic uncles, aunts, and cousins in the New York/New Jersey area. My high school art teacher, Lawrence Schroth, was a wonderful teacher and artist and an encouraging mentor. Traveling out west to Flagstaff, Arizona I majored in commercial art, but soon switched to the study of english and history. With the gentle persistence of my wife I finally found my way back to drawing and painting after a fifteen-year hiatus. At first, I was attracted to the color and directness of pastels, and I immediately took to the medium. After my initial exposure to pastels with Tony Ortega at the Art Students League of Denver, I took workshops with Bruce Gomez, Molly Davis, and Mark Nelson. Now painting in oil, I concentrate on interior scenes and more symbolic landscapes. Currently, my work can be viewed at Whitney-Evans Limited (www.whitneyevansltd.com) in the Denver Design District at 595 S. Broadway. Also, please visit me at my working studio in the Bella Building at 3950 Wynkoop St. #2E in Denver's RiNo district, but please call ahead.